I would like to bring to your attention an interesting article, which confirms some of the things I’ve been writing about in the past few months (such as the post When Reality is Not What We Expected), about the differences between Internet and corporate searches. The article contains some remarkable and very realistic considerations by Google. 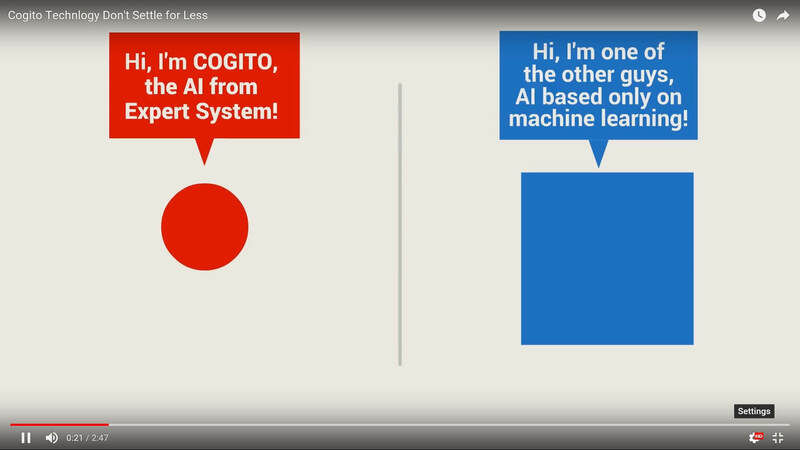 Expert System brings semantic COGITO to U.S.
Whiteboard Video: What Is Semantic Search? In a recent web seminar that we participated organized by Project 10X some 260 registered attendees submitted questions prior to the event. I semantically processed these questions (sometimes called “eating your own dog food” – imagine that!) looking for common themes and concerns. In reviewing the outcome here is what I found; 1.